A spirit perfect for the holidays! Only available from September through March. 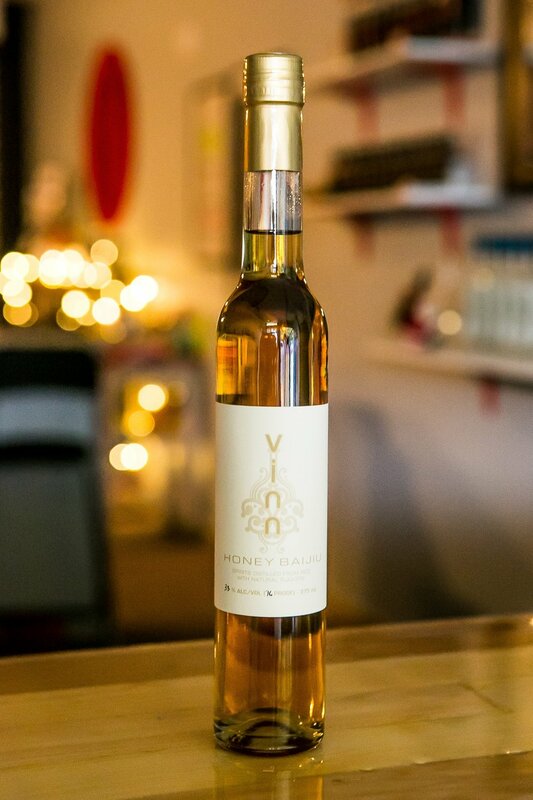 Using our Vinn Baijiu as the base spirit, the honey and baijiu meld together beautifully for a sweet malty cinnamon spirit. Sip this after dinner either neat or with a single ice cube. Make it a cocktail simply by adding it to some apple juice and you’ll think of nothing but apple pies.